Turkey has officially switched to an executive presidency after President Recep Tayyip Erdoğan took the oath of office on July 9. Erdoğan took his oath in parliament after being elected as the country’s president in the June 24 elections, in which he garnered 52 percent of the votes. After his swearing-in on July 9, the system change — stipulated by the 18-article constitutional amendment which was approved by the April 16, 2017 referendum — has gone into full effect. After the oath-taking, Erdoğan visited Anıtkabir, the mausoleum of Mustafa Kemal Atatürk. 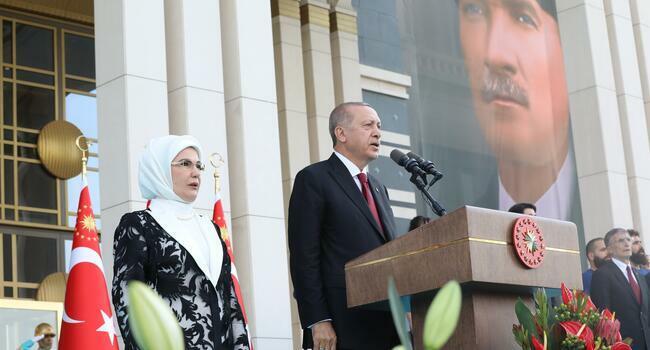 “At the dawn of this important turning point of our republic and democracy, as the 12th president of Turkey and the first president of the new presidential governmental system, I promise to strengthen our nation’s unity and fraternity, to develop our country and to elevate our state,” Erdoğan said at Anıtkabir. “We are determined to reach the targets of the republic that you (Mustafa Kemal Atatürk) and your friends have founded and that is entrusted to us by future generation, in its 100th year,” he added. 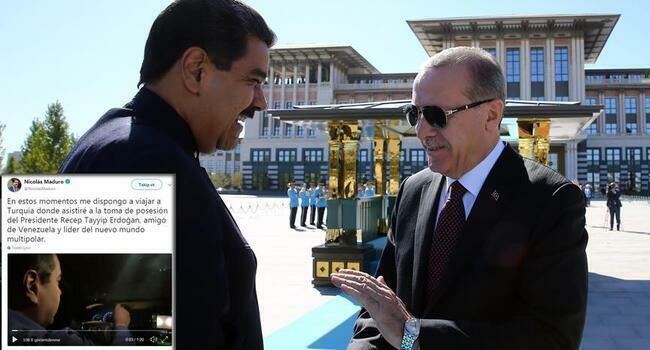 Erdoğan then proceeded to the official ceremony at the presidential complex in Ankara's Beştepe district. In a speech that he started with a prayer, Erdoğan stressed that he was elected as president, "this time with all the power of the executive branch." "We are now adopting a model that is way beyond our 150-year-old pursuit of democracy and our 95-year-long experience of a republic," Erdoğan said, vowing to "leave behind a system that cost the country heavily because of the political, social and economic chaos it caused in the past." Promising to "reinforce the social state" in the new era, Erdoğan also vowed to "leave behind the days that people were externalized and alienated for whatever reason" in Turkey. Celebrations in the scope of ceremony were cancelled due to a deadly train derailment in the western province of Tekirdağ on July 8. 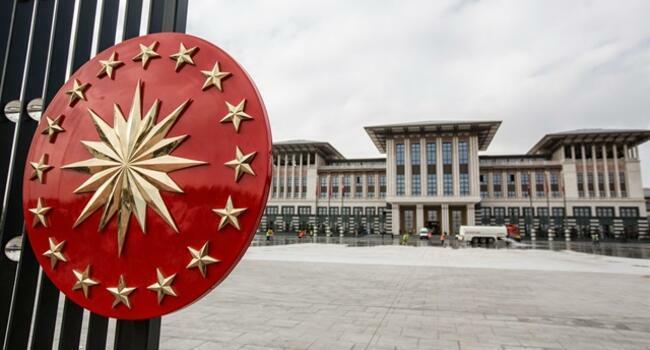 The ruling Justice and Development Party (AKP) government has been issuing a series of harmonization decrees in the last week after the June 24 presidential and parliamentary elections, aiming to integrate the new system into the existing legislation. 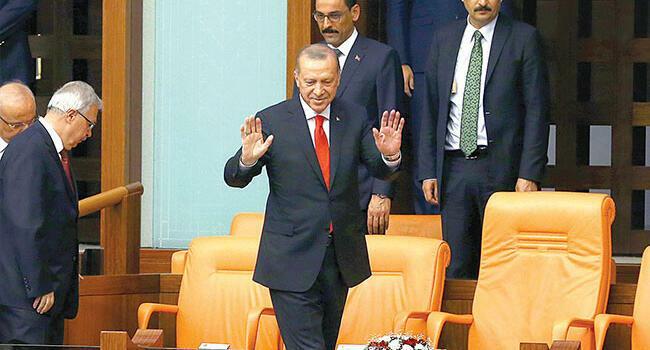 On July 9, before Erdoğan’s swearing-in, two extensive decrees were issued, which abolished some existing ministries, while transferring their authorities to newly-formed ministries and related institutions, making them fall under the command of the president. The decree changes the structural organization of the state, redefining the hierarchical scheme. With the changes, the Labor, Social Services and Family Ministry, Industry and Technology Ministry, Commerce Ministry, Agriculture and Forest Ministry, Youth and Sports Ministry, and Treasury and Finance Ministry were formed, while the EU Affairs Ministry and Foreign Ministry have merged under the Foreign Ministry. The “presidential governmental system” has abolished the Prime Ministry and transferred all executive authority of the Prime Ministry office to the president, who will have sweeping powers, from appointing state officials to declaring state of emergency by presidential decrees, lacking considerable monitoring by parliament. 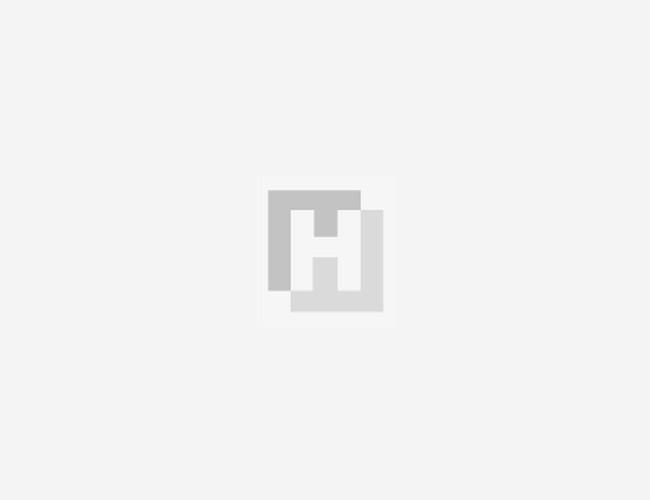 He said that in the previous system the cabinet would be formed by members of parliament, which had caused the party that held a parliamentary majority to have a greater influence over the government. “Now the people will elect the parliament separately from the executive authority, which is the president,” he said, stating that the president will now determine the cabinet members. With the new system, there will be a number of offices that will work under the president and will implement the presidency’s projects. A total of 65 existing boards, commissions and committees established with laws and other regulations are merged under nine entities, namely Social Policies Council, Law Policies, Security and Foreign Policies, Local Governments, Health and Food, Economy, Education and Science/Technology/Innovation. The president will chair the boards, but there will be an acting chair for each of them. The boards will propose policies, oversee the implementation of the policies and take macro decisions that are beyond the responsibilities of the ministers. The eight directorates will include the Directorate of General Staff, Directorate of National Intelligence, and Directorate of Religious Affairs. The Directorate of Strategy and Budgeting will be launched for the first time. It will be in charge of preparing the budget and will be overseen by the president. The Directorate of Communication will organize all media and communication activities. All undersecretary offices will be abolished and some of them will be named as directorates.